How. HOW did we go from popsicles to Halloween already??? Yet here we are, so let’s get to it! 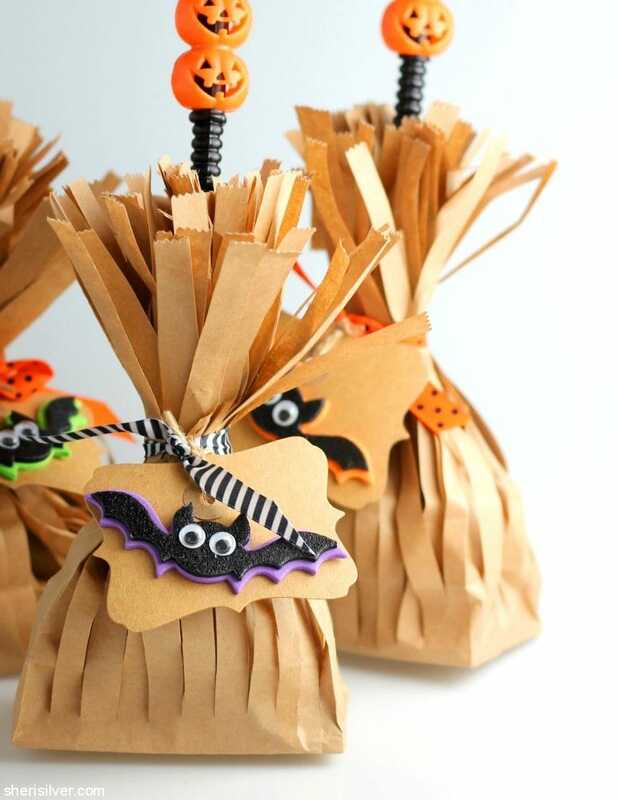 You know that if I’m sharing a craft on these pages, it’s going to be super-duper easy – and these “witch’s broom” treat bags are no exception. This is what I like to call a “TV”craft – one that’s easy to do while you’re binge-watching your favorite show. Probably not “The Crown” or “Better Call Saul” (where you need to pay full attention – or is that just me? ), but definitely “The Marvelous Mrs. Maisel”. Not only is this craft really easy, it requires very few materials and zero special tools. 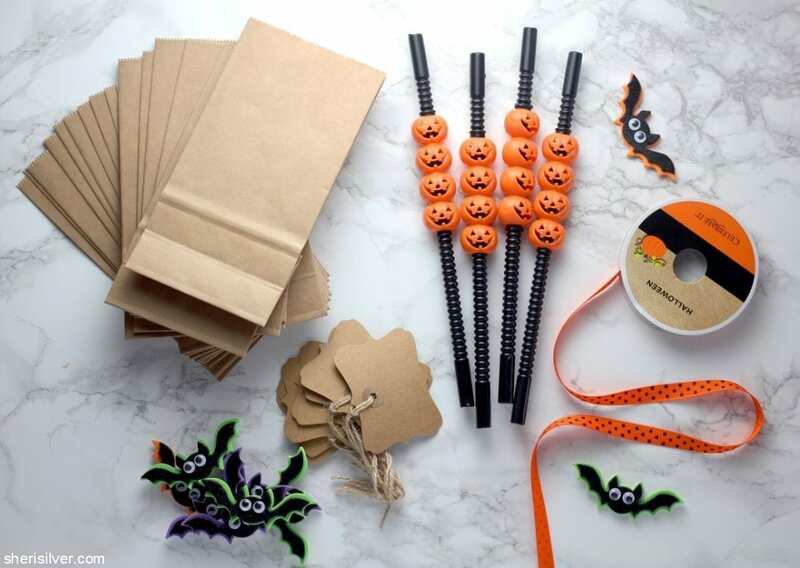 As I do every October, come back each Wednesday for a Halloween-themed craft or treat, and check my Pinterest board for more ideas! Push out the bottom of one bag, while keeping the sides folded in. ** Cut thin strips down to the base. 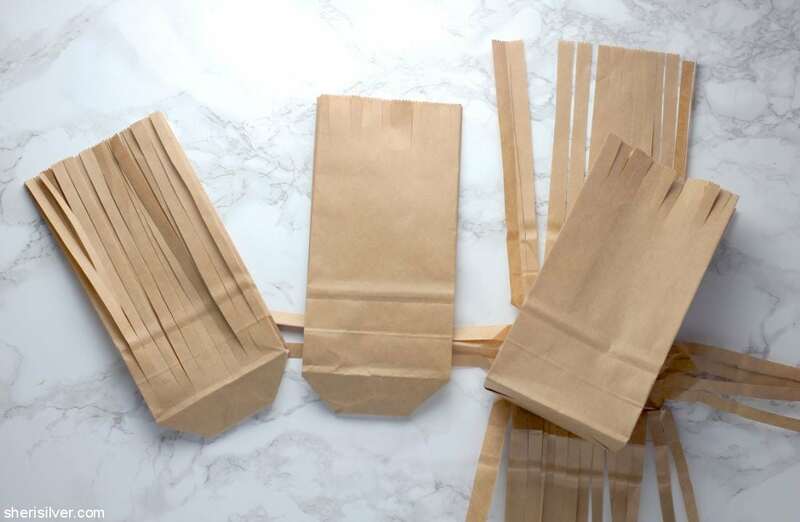 Cut 1″ – 2″ strips along the top of the second bag, and place inside the first bag. 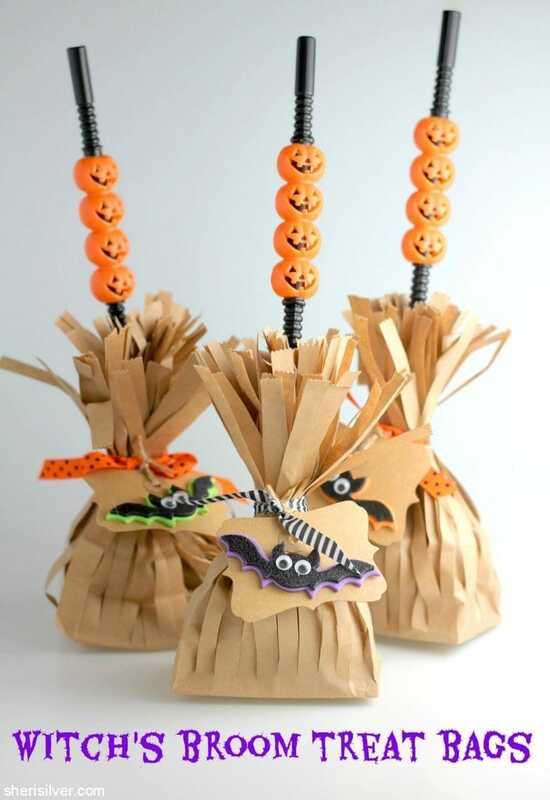 Fill with your treat and place the “branch” inside. 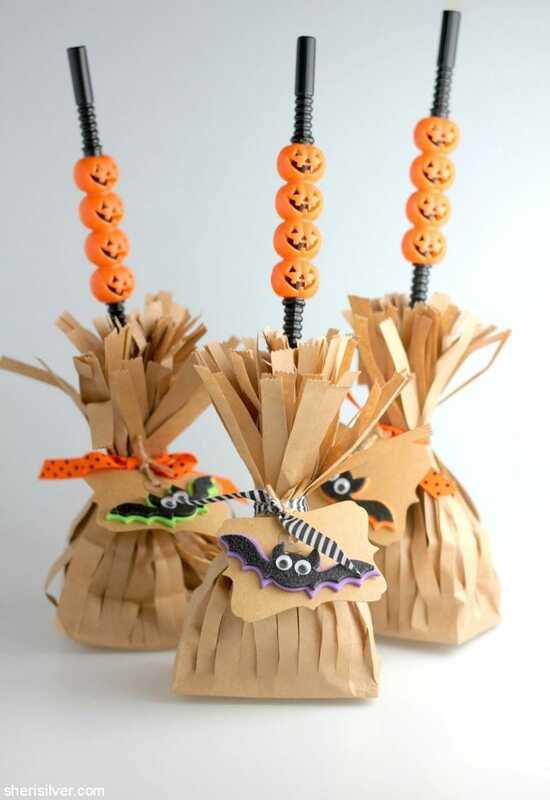 Secure with ribbon and add your tag. **Note: I placed 2 bags inside a third for the “shredded” ones, so that I could cut 3 at a time – this made the process go much, much quicker.